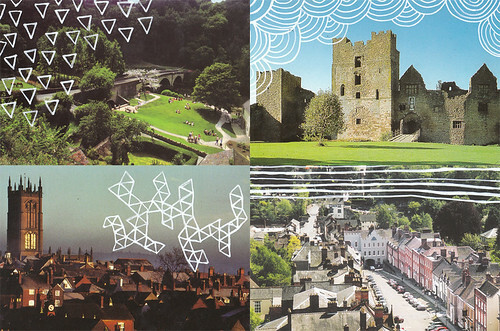 Little update on my current project, just some drawn on postcards with various patterns. I was going to go take some photographs today but the weather was terrible. I bought some postcards for the tourist information center, the local bookshop and the castle. Trust me to miss all the sunny weather we have been having and decide to take pictures when it goes stormy and wet! More images on my Flickr.